Built on AWS Cloud by EnLume, EdVIE offers on-demand elastic scale by intelligently provisioning the required resources at any given point of time. 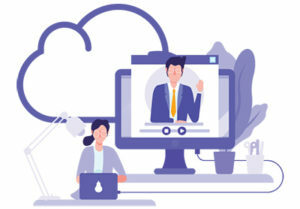 Operational costs associated with learning/development and the opportunity cost of lack of collaboration with remote teams are forcing organizations to look for technology solutions that can enable remote collaboration to save costs and increase ROI. For organizations that are struggling with paper-thin margins, such cost savings can make a huge impact on the bottom line. EnLume architected and developed EdVIE collaboration platform as a native application on AWS Cloud. The multi-purpose collaboration platform is a complete learning solution with comprehensive content and learning management system. The multi-tenant platform is built on a containerized microservices architecture so that it can be elastically scaled up and scaled down on-demand. Dynamic automated AWS resource management reduces the cost of running the application on Cloud.